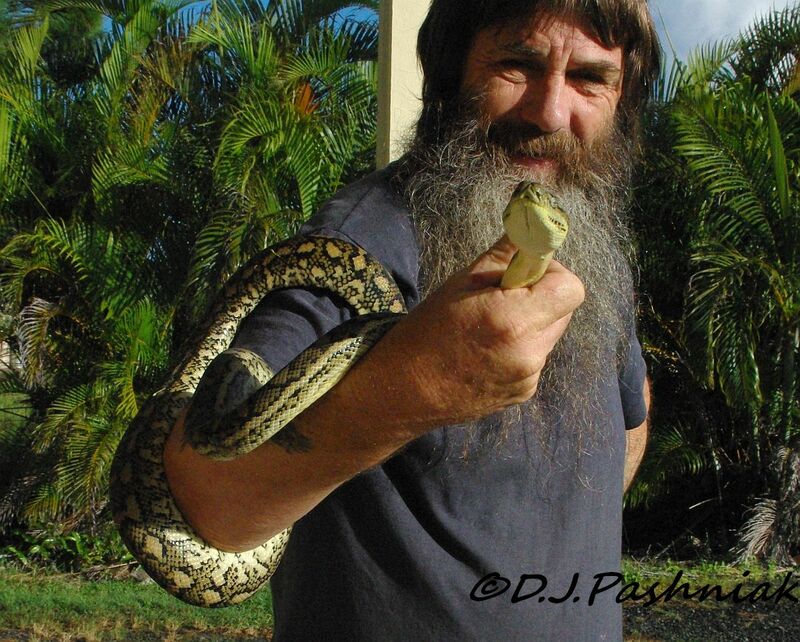 Beautiful big carpet snake you had, has it come back yet? They sometimes do if not taken far enough away. Nice pictures you show ...... I'm terrified of snakes. Graham is fearless! I'm not fond of snakes either. He's quite big!! Boom & Gary of the Vermilon River, Canada. Gorgeous captures of the beautiful snake, Mike! Terrific captures for the day, but I'm afraid I would react the same way to the snake -- although I have to admit it is a handsome fellow and your friend is indeed a fearless character :)!! Have a great week, Mick!! In my teens my biology teacher had snakes in an aquarium. That was the first time and have never cared for them since. Maybe because of what they represent! Glad everything was peaceful and harmless. Please have a good Tuesday. I believe snakes are what prompted the invention of the telephoto camera lens! Glad you had a neighbor to help with a relocation. That was quite an exciting find even if you were terrified. The snake certainly has beautiful markings. But it is large enough to be intimidating except for brave folks like your neighbor. I don’t think I would enjoy having it slither around my arm. Oh that's a gorgeous snake! I'm not sure I can see the smile - but I'm sure there is one under the beard! Snakes are a real two edges sword - I like to see them - but I dont want to see too many! Your friend has the mind of an artist, helping the rest of us to see the beauty everywhere. But snakes...um, OK I'm not a girly girl who is frightened of seeing them..outdoors and preferably slithering in the opposite direction. But I draw the line at enjoying them in my house. Yup...I'd of called for help as well. (It definitely pays to know someone who can handle stuff like that.) It IS a pretty snake. 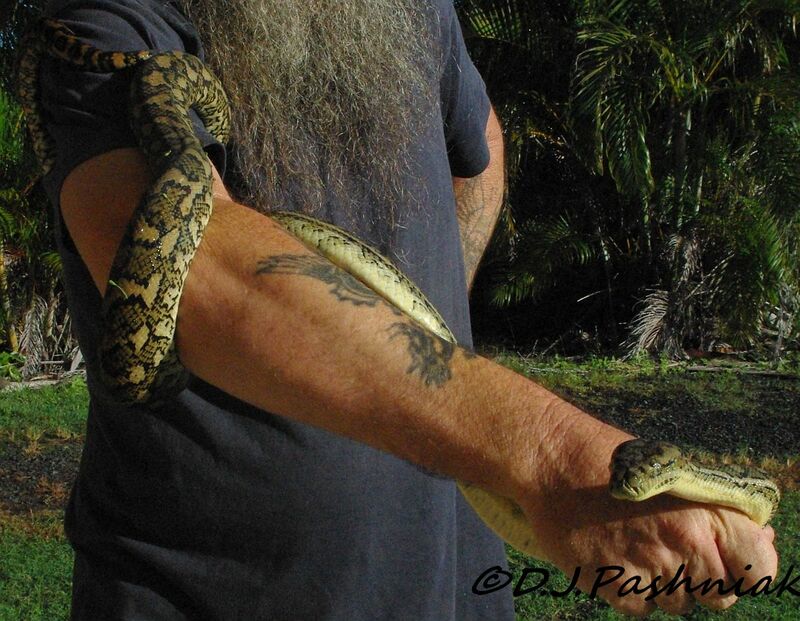 It's a beautiful snake and i say I'm not afraid of them but I might be in Australia until one was IDd for the better. A good tale Mick.